Flippers.be - Nuova Bell games from Italy, company overview and game specific details. Nuova Bell games is an italian pinball company that existed in the 1980ies. 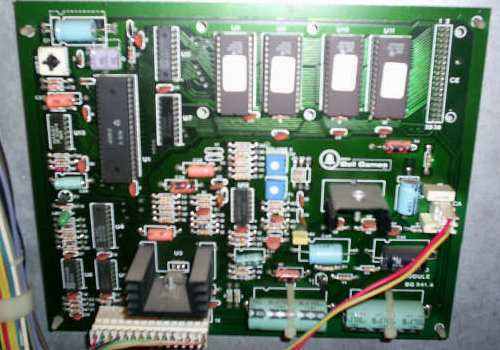 The company started as Bell games and made conversion kits for Bally pinball games. The history of the company can be found at this website, written by Frederico Croci. Click here for an overview of games made by Bell games. 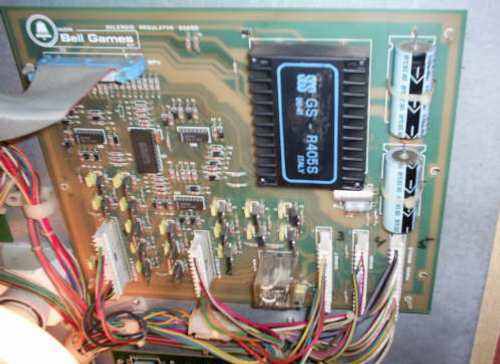 Technically they are identical to the Bally games of that era, so quite easy to repair. 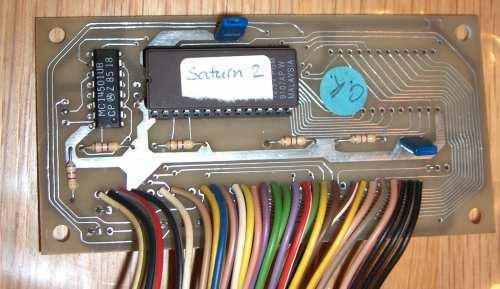 Here is some information about Saturn 2, a conversion kit for which Bell Games created their own pcbs. 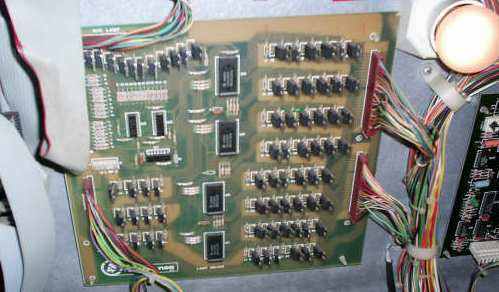 Check below for pictures of these specific boards. 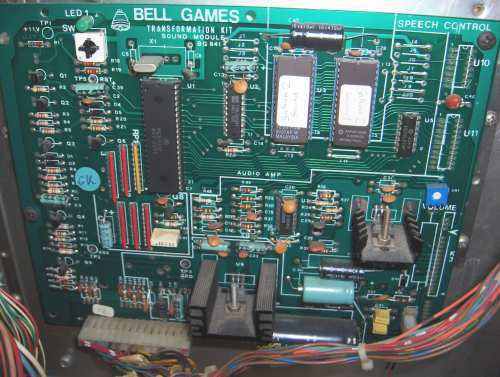 The company later changed into Nuova Bell games (Click here for an overview of games made by Nuova Bell games) and these all have their own custom boardset, no more kits for Bally pinball machines were produced. 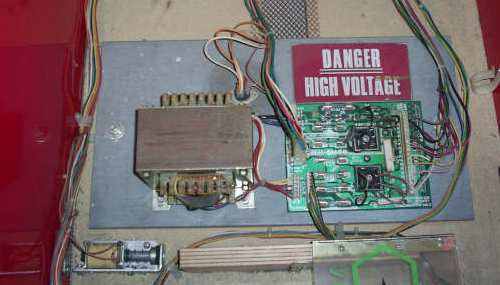 Note the black box that is a +5 volt regulator. This fails on a lot of games. 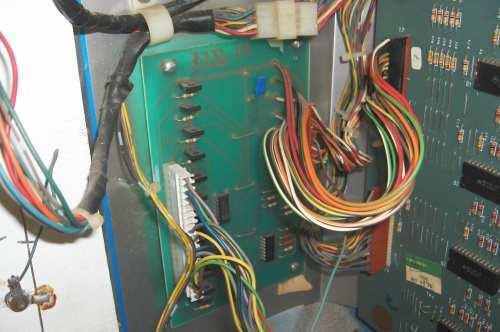 Leon of Flipper-pinball-fan.be has made a page with some more information on how to repair the cpu board of this Nuova Bell Cobra game..